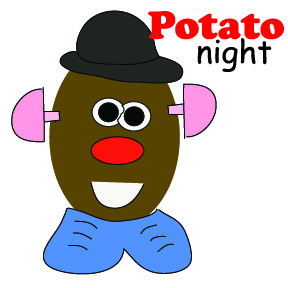 Have a little fun with your food with Potato Night. 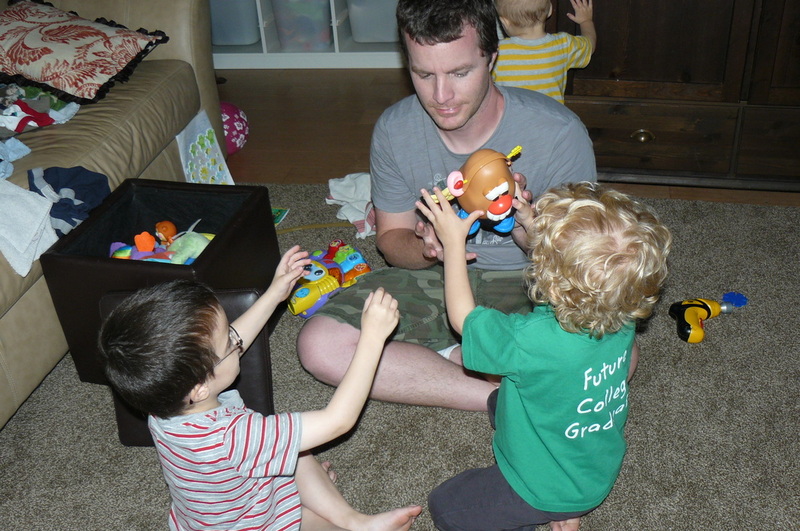 Yummy potato dinner, potato games and potato sack races will give your family lots of memories. Bake up some spuds and top them with whatever you like. Sour cream, cheese, butter, salt, onions, pulled pork (YUM), shrimp, and the list goes on. 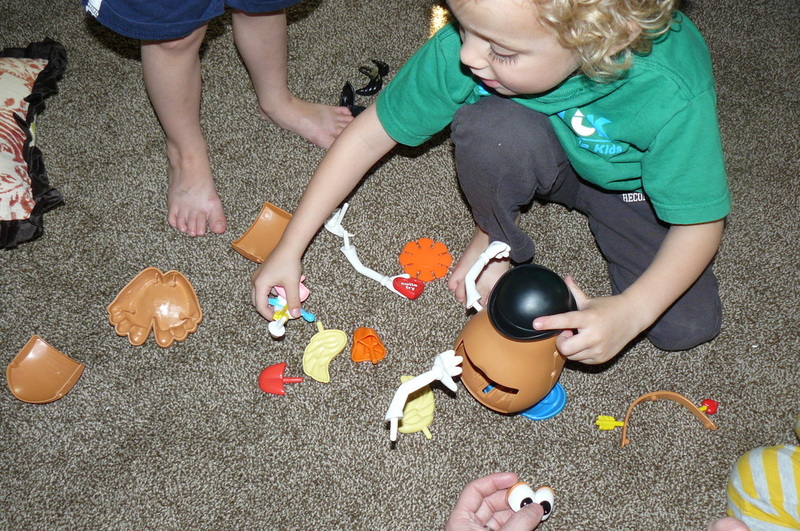 Use your childs potato head game or use a real potato and attach paper pieces to make normal or silly potato head. Then play hot potato with your creation. 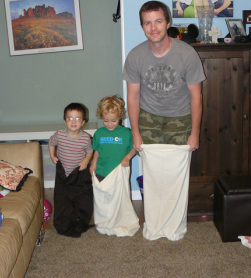 Grab the nearest pillowcase you can find and race your way around the house.